The other weekend, I will admit, I became one of the latest additions to the growing zombie-like population playing the augmented reality game, Pokémon Go. While there has already been much written about the effects of this game on society (ranging from its psychological and physical benefits to it being just another example of neoliberal capitalism to it being a surveillance tool created by our government – ironically I have also seen it being discussed as a tool of ISIS), my goal here is to not make any claims about Pokémon Go and its specific ramifications on society, but rather to use it to think about what this says about the way we interact with our world. 2016 is only halfway over and it is already not off to a great start, with the war with ISIS raging on, the Orlando Massacre at Pulse Nightclub, the deaths of even more black men at the hands of police officers, and what would have been a peaceful protest in Dallas, TX that resulted in a sniper killing multiple police officers. Up until the weekend of July 9-10, my Facebook wall had been flooded with posts from both sides of the #blacklivesmatter versus #bluelivesmatter debate as well as posts about LGBT rights, gun control, terrorism, and political debates over the presidential election. It had gotten to the point where I did not even want to log into Facebook or check it on my phone because it was just becoming depressing, irritating, and frustrating. However, that changed once Pokémon took off– the same people who had previously been posting nothing but political commentary started posting about the Charmander that they had just caught or the strange places that Magikarp was showing up. What had been a very scary and depressing world had suddenly been turned into a magical video game full of mystical creatures (granted, it has not made the world an actual safer place). In essence, it has provided a distraction (for some) from the issues that are facing the world. Even though it may make us feel temporarily better, distractions do little to actually make things better and can, in fact, do quite the opposite. We only have a certain amount of bandwidth in our brains, so once we factor in the things that we need to think about on a daily basis (work, taking care of ourselves and our families, paying bills, etc. ), do we really have time to consider ways to fight structural racism AND whether we should join team blue or team red? Social media is already thought of (by some) as providing ways to many distractions ranging from frivolous things, such as sharing funny cat videos, to ones that are serious but just distract us, for example, the wide range of activist groups all vying for people’s attention. Some scholars have voiced their concern on the depoliticizing nature of social media in that it disguises inaction (liking or sharing a post) as action. In some sense, this seems logical. If I am sharing thought-provoking articles on Facebook, most likely to individuals who already (at least somewhat) agree with me, am I really doing much to actively change the world? And in some sense, we already have observed the ways that perhaps Pokémon Go was distracting people a bit too much from reality, for example when it launched, you could even collect Pokémon at the Holocaust Museum in Washington, DC, at Auschwitz, and at the 9/11 Memorial in New York City. Some individuals were even taking photos with their Pokémon friends at funeral homes. Many of the Poké stops (places where players can congregate to collect items and try to attract Pokémon) are at churches as well. All of these examples seem to indicate that in this new virtual world there are no sacred places. However, Niacom has since released updates to prevent Pokémon from spawning at places deemed inappropriate. Since this app came out at such a volatile time in our world, people losing their connection with reality is something that has started to concern many people. And while it seems that people’s obsession with this game has caused them to forget about all the issues plaguing the world, I would like to place forward two arguments. The first is that even though this game has definitely become addicting for many people, we do not need to leap to the conclusion that individuals can only focus on one issue at a time. In fact, with the way social media has evolved, our brains are constantly having to juggle multiple things at any given time, which can, as mentioned earlier, lead to the feeling of being burnt out or overwhelmed. Having venues for a distraction, may not be the worst thing, and in fact could potentially allow people time to recover from their grief fatigue without completely avoiding or forgetting about the serious issues facing our society. When I started writing this, Pokémon Go had completely taken over my social media feeds (which could also just be a representation of my own nerdiness as well as that of my friends), but since that initial surge of frivolous, and then fear-inducing, posts, my feeds have since returned to many of the same issues that had been there before, with numerous talks about the RNC, the DNC, and police brutality. I think an important lesson can be learned from this, which is that in our current age of an ever increasing pace of communication, many feel a need to keep up with this speed or to even increase it in order to be able to theorize about these issues and occurrences the moment they occur. Unfortunately, even though things seem to occur at fast paces, because there is always something new happening, there are overarching ideas that are continually present. However, these ideas are not always visible in the moment. The constant theorizing about every new issue as if it was the end of something before and the beginning of something new implies that life is not a continuum that is always evolving and changing, but rather a series of isolated occurrences – a rather problematic viewpoint that can stunt growth and positive change.. The second argument that I want to put forth in relationship to Pokemon Go is that there is strong potential in augmented reality games for individuals to resist and challenge norms within the world in ways that may reach people who might otherwise be unaware of these resistive conversations. Here, as in rest of this blog post, I am not specifically talking about Pokémon Go but rather any kind of widespread augmented reality game. In thinking through this recent fad, we can begin to think about some of the potential this technology may hold. 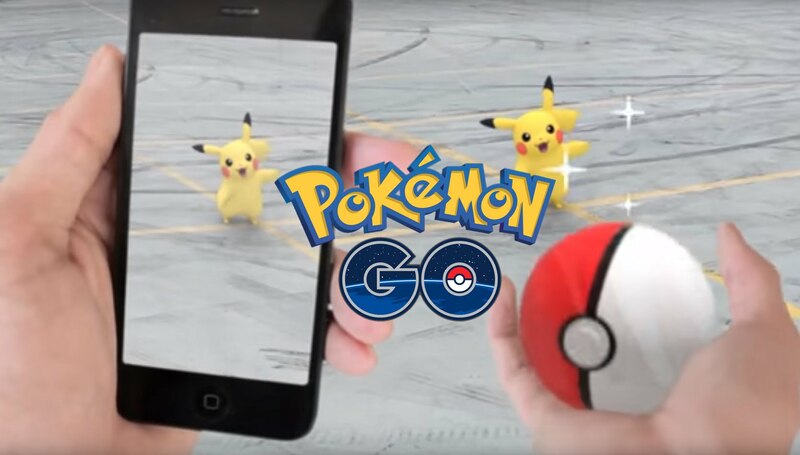 Pokémon Go, in the short time that it has been available for download, has already shown itself to not just be a dangerous game that can lead people to become victims of crimes or potentially harm themselves, but also it has proven to help improve people’s moods and can even help people with depression and social anxiety. By allowing individuals to cope with some of their personal psychological issues that might otherwise prevent them from connecting with others in the world, Augmented Reality platforms have to potential to inspire people to become involved in attempting to bring about change to the world.. While there can be some potential to inspire change out of depression, that only works to a point. At a certain level, depression and anxiety can become debilitating which precludes any sort of resistance. 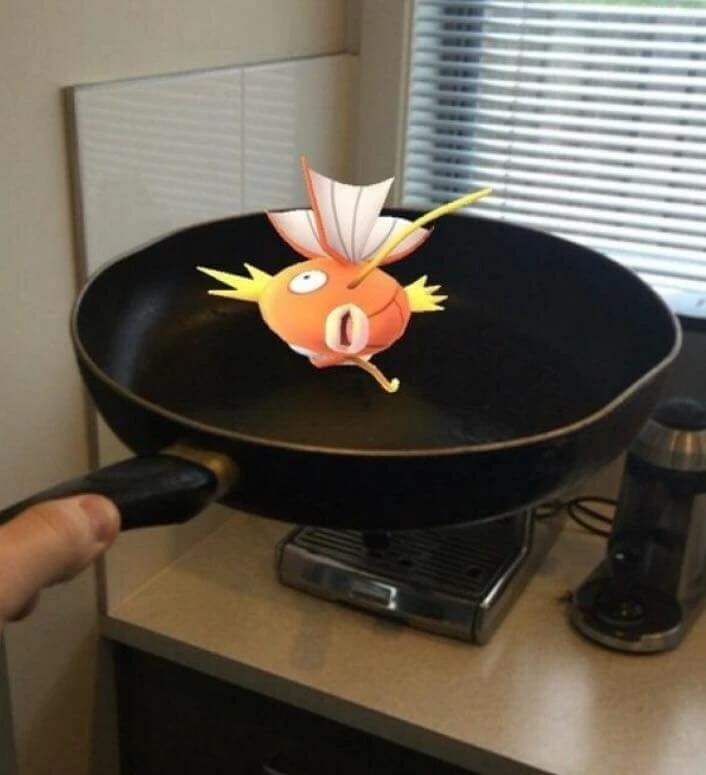 Not only does this demonstrate some of the potential of augmented reality, Pokémon Go has also already demonstrated its usefulness in real world social commentary in at least one situation. Shortly after its inception, one of the Pokémon trainers took over the Gym that happened to be placed at the Westboro Baptist Church (WBC) (the group infamously known for protesting at funerals of soldiers and for being against the LGBTQ community), with their Clefairy that was named “LoveIsLove” in protest of the WBC’s anti-LGBTQ beliefs. WBC has fired back against this protest by specifically using Pokémon in their latest series of messages. Earlier I was critical of people catching Pokémon at Auschwitz or the Holocaust museum (and I would agree that there are definitely some places where this is not appropriate), however there is radical potential in encouraging people to explore places in their cities and where they travel. Most people tend to stay to their routines and familiar places, rarely venturing outside of their comfort zones. This can lead people to just living within their routine, unaware of things happening that do not directly affect their daily lives. With its requirement to walk around in order to collect all of the varieties of Pokémon, people are being encouraged to go to new areas that they may otherwise not be exposed to, and some of these places are related to historical and even revolutionary events . For example, in Hong Kong there are Poké stops at several famous locations of protest, including the Lennon Wall – a site that was a key location in the 2014 democracy protests. While this can be seen as dishonoring these important sites by turning them into stops within a game, it can also be seen as a way to draw people to certain locations that they may otherwise remain unaware of. In addition to being able to highlight key historical places, there have also been instances of people out hunting for Pokémon who came across some Black Lives Matter protests and then decided to join the protestors. In what is almost the opposite of the idea of slacktivism, the individuals in these situations would never have taken part in (or even be aware of) these protests, but it was through their involvement in this game that they were able to participate in this cause. Recently there have also been reports of groups in Hong Kong using Pokémon Go as a cover for their pro-democracy protests. While it can be easy to instantly make judgments about something or try and claim that it is either all good or all bad, the reality, especially in our media saturated world, is that few things are entirely all good or all bad, and we need to make sure not to lose site of one over the other. Additionally as things are moving quickly, the effects of the latest technological craze are hard to tell right away as something new always comes up, and it is important to see how these things interact with each other instead of just leaping to a conclusion and fragmenting reality into a series of isolated events. So, even though there is potential for augmented reality games to cause people to lose their grip on reality (even temporarily), there is also a potential to empower new people to enter their voices into debates and to become more related to reality through this virtual world. It comes down to balance, focus and priorities. If someone is very passionate about a cause, even a distraction that they are also passionate about will not make them completely forget about it or depoliticize that person. Instead it may even give them new ways of reaching out to others or at the very least, the break that is needed in order to recharge, refuel and continue on in their fight. And with that being said, I’m off to go try and catch my Bulbasaur.